The police say the woman was a murderer. Emilie Wesley knows they can’t be talking about her client . . . but she can’t prove it. To the world it seems obvious: Kaylene Turner snapped and killed her daughter and then was shot by police. However, attorney Emilie Wesley knows a different story. Kaylene was a nurturer at heart looking for a way out of a controlling, abusive marriage. Kaylene’s death shakes Emilie’s world and her belief that she can make a difference for these women. Self-doubt plagues her, and she finds herself struggling to continue her work in the wake of tragedy. Reid Billings thought he knew his sister—right up until he learned of the manner of her death. He receives a letter from Kaylene begging him to fight for custody of her daughters if anything should happen to her. No attorney in her right mind would take on his case, but Kaylene’s letter claims Emilie Wesley will help him. Thrown together in the race to save Kinley Turner from a father who isn’t all that he seems, Emily and Reid pursue the constantly evasive truth. But if they can hang on to hope together, maybe they can save Kinley—and find a future for themselves in the process. It is uncommon that you read a fiction book that you feel the helpless feeling of being entrapped in the web of abuse, the legal system and all from a novel. This one hits the mark. You experience the story, but also feel the hope of what Emilie was working towards for her clients. Ms. Putman’s research and knowledge of the legal system is amazing as she puts it into a fiction story. I found myself not able to put this book down until I finished it, and I didn’t have time to read. I just kept going back to it again and again. It is that good. Just like other books, this author does not stand on a soapbox demanding you listen to her point of view, she helps you experience it in the novel. The abuse that women suffer is not always physical and in fact, often is not. This story demonstrates how dangerous that can be, because often everyone on the outside is not aware. There was one quote that I was so glad to see included and touched on. In the story, a family member states how they were firm that they would not hear any bashing of a spouse after their granddaughter was married. She reiterates that if he ever hit her, that was not okay and to come to them for help right away, but otherwise they didn’t want to hear any struggles. I was glad because this is a common belief perpetuated in Christian circles that they are doing a favor and saving marriages by encouraging a “no bashing” clause in the family. I will let you all read the book, as you should all read it, but just in case you don’t, know this. If you have ever said that to anyone, please go and let them know that you are sorry. It is one of the worst things you could ever say to anyone. This book was obtained through BookLookBloggers. The opinions contained herein are my own. This book is available for purchase where books are sold and on Amazon. Imperfect Justice (It is only 1.99 on kindle at the moment). When a wagon pulls up after supper, Neva and her children rush out—and into the presence of the deputy driving a wagon carrying three young children. Who are these children and will their secret shatter her life or make her stronger? Do you ever think that all books written have to have romance to make them a good read? This one breaks those molds. While there are hints of real love throughout the story, the twists and turns that this story takes are more real life than fictional. Neva, facing betrayal, deals with it the way most humans do. It is a struggle, a fight to regain face and standing, both in the community and before her own children. I found the hints of life in the 1930’s fascinating such as references to orphan homes, Jello, Frigidaire, Bisquick and other name brands that were on the scene in those days. The fragility of life is spoken of when two character die of botulism poisoning, something that we generally don’t think of as much anymore as a threat. I found this story real, but also an easy read, without heaviness. It was a nice book to read on a sunshiny day! Beekeeper Sierra Riehl has spent three years helping to keep Gabe’s health food store afloat while he worked with orphans in Romania. Now he’s back, but it looks like he might bolt. Can she hold him still long enough to spark a romance? But Sierra’s hope falters when she begins to suspect she can’t give Gabe the life he deserves. You know how many times people complain that all romantic books, especially Christian fiction are all cliche and the same story just told a bit differently? Well, maybe you have not heard it, but I have. Valerie Comer’s books will not have you saying that. If you are looking for something different in the world of Christian fiction, don’t look any longer, but pick up this series. Sweetened with Honey is the third book in the series, which you will not want to miss out on reading. Sierra is not your normal heroine, I think you will get that from the opening chapter where she is using bee stings as an alternative health treatment. I had a soft spot for Gabe when I met him in book number one and really enjoyed seeing his story continue in Sweetened with Honey. You will also see many of the other characters you have grown to know and love in the previous books. Jo for example, has learned a lot of lessons, but maybe not quite as many as she should have. You will enjoy hearing more about the self sustaining farm, the recipes Claire has come up with and what Sierra has been up to while Gabe has been absent. Valerie makes the stories so real, you feel like you could actually drive to northern Idaho and visit the farm or book it for your next wedding. Ready for an out of the box romance? 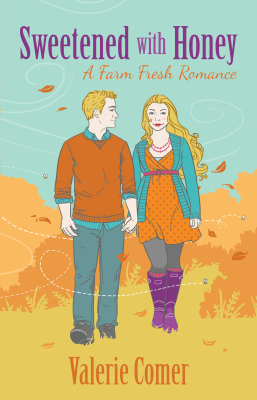 Pick up this farm fresh romance today!!! If you have not read the first two, run out and get those too! 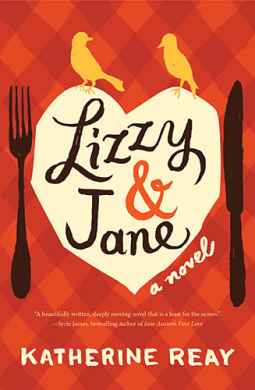 I thoroughly enjoyed Dear Mr. Knightly, but Lizzy and Jane touched me in a deeply personal way. The language of food spoke to me for one thing, but secondly, the BRCA gene effected my personal life deeply in the last three years. That is much more than I ever thought a gene which was formally unknown to me could have. I lost two family members to its hold, and another close family member will undergo surgery in a couple of weeks to avoid it. What I enjoyed so much about this was book, was the fact that this book was not about the BRCA 1 gene, or cancer as much as it was about relationships, pain, hurt and overcoming them in our daily trials. The depth in which I saw Ms. Reay capture how we can allow transgressions such as Elizabeth and Jane had experienced in the past, and in the face of possible tragedy, they allowed themselves to give each other another chance. I know this is not always possible, but when it is, we should try to mend the fractures between family members. The word pictures that were created with the spices, flavors, scents, I have expected to smell them as they leapt off the page. Ms. Reay created a book that will touch the hearts of many people, even if you are not an Austen lover, you will catch the symbolism throughout the novel and relate. If you are an Austen lover, you will smile like an old friend just came home. In this sequel to The Heiress of Winterwood, Sarah Ladd does not disappoint. She continues on the tradition of a novel that is in keeping with the era and the helps you feel that way. I struggled with some of the decisions that it seemed her brother made on her behalf, but realized that it was much in keeping with the time period. Patience finds her life is uprooted by her brother’s decisions though, William is figuring out secrets that he did not even know were there, and you will want to keep reading discovering if these two can find happiness with each other. The romance is light, but still there, so that you keep the pages turning. You will enjoy this beautiful book like I did. It is not deep reading, but more easy, Sunday afternoon reading. This is money well spent on a book you will be lending out. Plus, the cover art is amazing!!! This book was given to me for review. The thoughts contained in here are simply my own. In the burnt-out hollow, a house of dark secrets and an eerie beauty beckon. Serena Diaz’s life is imploding. A troubled student has accused the young biology teacher of sexual misconduct, cutting off her promising career just as it was starting to blossom. But that’s just the beginning of Serena’s problems. Hurled into a world of false accusations and hounded by the press, Serena must confront evil itself to unravel the mysterious visions—and terrifying danger—that pursue her. But she can’t ignore the most haunting question: Why would a mysterious stranger give his life to save hers? Wow. 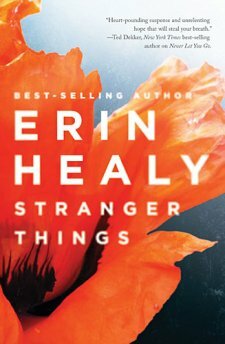 I have read several books on the topic of human trafficking and many of them cover different facets of it, and Erin Healy covers a different facet of human trafficking than I could think of. She brings it close to home, personal and attacks the thoughts in your mind, so you see it. These girls become your sisters, your mother, and your next door neighbor. I think the thing that struck me the most was when the young men part of the organization went around to warn families of the danger to their girls, the reaction they got. One foster/group home mother laughed cynically, basically felt like there was no use in even trying to warn them. The next house, the dad threatened them, accusing them of being the perverts and didn’t want to hear it about his precious girl, while the third, shrugged and said if they wanted her, they could have her, it would be one less person asking for her money. When I read this book, I realized something. We are a nation of cell phones, computers, communication devices, yet we lack at care and communication. In this way, we leave our young people open to danger. We are busy, busy with our own things and lack time to actually care and communicate with them. This leaves them open to evil, who will come in, ask them how they are, build their trust, talk to them, listen and in time lure them away and they will be lost to us. Have we listened to our neighbors? Our sons and daughter’s? Their friends? Are we listening? Are we their friends? Can they ask us for advice? We can help with human trafficking by changing this. We can be active parents that care and listen. We can be a part of their lives, and not just assume they are fine in school. We can be the one that is the embarrassing parent as we always present, an active participant in their lives. Does this warranty that they will not get into trouble? No. Nothing does. But it sure can cut back on them! All that to say, this book really got me thinking. It was the perfect suspense novel, with beautiful pictures of love and sacrifice portrayed in the Christopher, while alternatively evil personified portrayed in Phil and Roman. If you want a good read, that will get you thinking, pick this book up!!! I picked up this books with no expectations in mind, but was immediately drawn into Tessa’s story. Somehow from the cover, I was not sure what to expect as it was not one that impressed me, but the story within was compelling. 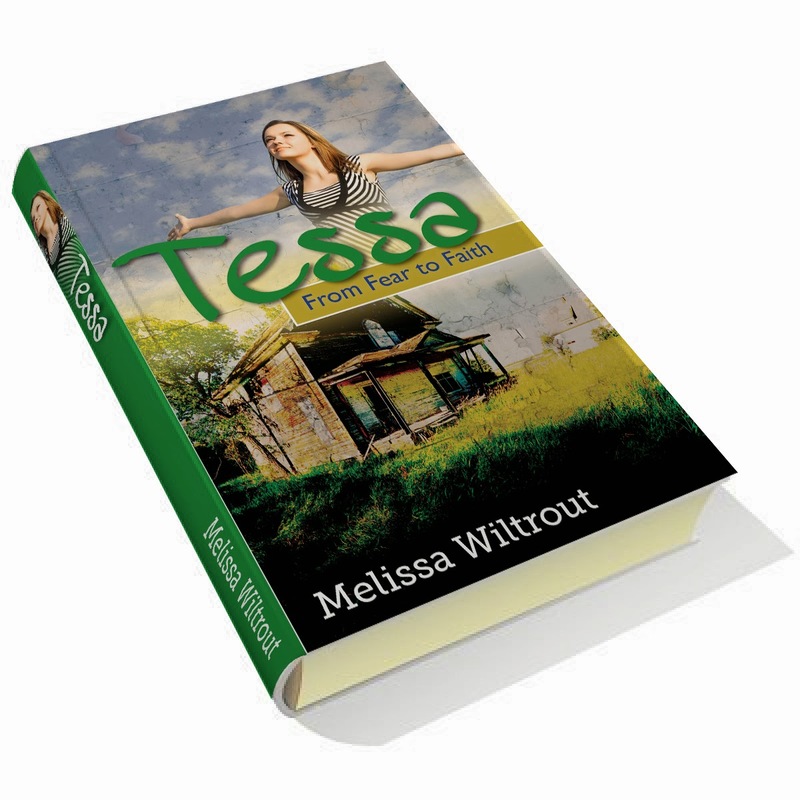 Tessa, a runaway, abused teen from a drug family is caught in an impossible situation. Her mother seems to love her, yet leaves her exposed to physical abuse. The abuse is somewhat detailed in this book, so it would not be one that I would just hand a teenager to read, but it is written from the teens perspective, so they may relate to it. my leg as I took a sharp left and sprinted down the dark sidewalk. me to the pavement. I screamed as pain ripped through my right ankle and leg. He threw himself on top of me, closing huge hands around my neck and shoulders. “I . . . can’t breathe,” I gasped. weight higher on my back. My chest began to hurt. “No,” I pleaded. “Stop. You’re . .
pains shot up my leg from my twisted ankle, and I was helpless to relieve them. flashing, and an officer stepped out. metal clamped around my left wrist, then my right. What on earth was he doing? Handcuffing me? I hoped nobody was watching. the officer pulled me to my feet. “So you were shoplifting, huh?” he said. steering me toward the black and white car. “My name’s Pat. And you are . . .
hot, wincing as my hurt ankle bumped the door frame. really expect me to ride like this, did they? around to look at me from the driver’s seat. convinced myself no one would notice. I must’ve been crazy. not from cold. I was scared of being put in jail. back to the garage where I was staying would be impossible. asked. She pulled the other chair around to sit facing me. she have to sit so close to me? in her voice. But did I dare confide in a cop? threatened to make me cry. but she didn’t need to know that. never miss what little I’d taken. clenched in my lap. I should’ve known they’d call my parents. considered it, but then I shook my head. Talking would only make things worse. got the time,” she said. are rules.” Pat laid her papers on the table. “You’re Tessa Miner, am I right? I gulped. How did she know that? out. Even supposing the doors weren’t locked, I’d never escape with this ankle. table and forced myself to breathe. I needed to be at my best to face Walter. his hips as he screamed at me. “Guess you didn’t listen, did you. had to face this time. like a bad movie across my mind. Ashlyn living in San Francisco at the height of the Gold Rush. an epic journey across the wild and picturesque American frontier. adventure involving Ashlyn is about to begin. But he expected as much. Seamus’s past was rife with disap- pointing harvests. With a pang of regret, his numb finger squeezed ever so gently and spark and flame breached the touchhole, igniting the gunpowder and sending a lead ball, laced with hope and des- peration, through the icy air. Sounds, though dampened by the snow, ricocheted through the woods. A flash here. A speck of brown again. Then it was gone. And Seamus was alone. Completely alone. With slumping shoulders, he headed home. Home. His mis- shapen cabin in the hollow of the woods. Despite his best efforts to acclimate to the wilderness, he was still merely trespassing. And where was home when your spirit wandered? The weariness. The throbbing of his temples. Every step mattered. At the thought, he reached up to the scar on his left cheek, hidden beneath his scraggly facial hair. The image haunted of that branding iron growing in size as it was pressed down on him, the burning flesh both his punishment and permanent mark as an Irish defector in Polk’s war, the battle against the Mexicans. He bristled at the word defector. People confused it too easily with deserter. Seamus had fought bravely in the war and never wavered amidst firestorms, death screams, and the lead- filled chaos. Even when, like many of his countrymen, he chose to change allegiances and fight for the other side. Suddenly, the whinnying of horses pulled him out of his trance. Seamus bent down behind a bush and strained his eyes high above in the direction of the repeating and frantic neighing sounds. It was daunting enough for wagons to climb this section of the main trail during the warm and dry months. But trying to scale it during wintertime only validated its name. The horses sounded again, this time blending with the curses of a man and the cracking of a whip. From Seamus’s vantage point far below, he could see a wagon drawn by two steeds straining to make it up the crest of the hill. Its driver beseeched the creatures with a mad flailing of his arm whilst they slid and grappled for traction. The two great horses managed to find a steadiness in their hoofing and the wagon straightened and lunged forward with the wooden wheels digging into the deep snow. The vehicle moved closer to the crest of the peak. Then there was a hideous splintering of wood. One of the horses reared and broke free from its bindings causing the other to stumble. In the matter of a moment, the still-yoked horse, the carriage, and its horrified teamster started to slide back down the slope, angling toward the trail’s edge that dropped hundreds of feet below. First one wheel cleared the edge. Then another. And all was lost. The driver leapt from his bench, but much too late. The full momentum of the wagon and its cargo ripped violently against the futile efforts of the horse to regain its footing. The helpless creature was yanked through the air as if it were weightless. Its neck flexed unnaturally backward. Then launching downward, in one flight of wagon, wooden shards, scattering luggage, and flapping limbs of man and beast, the behemoth plunged in fury to depths below amidst hideous songs of anguish rising above the wind’s mournful cries. Seamus shielded his eyes from the horrific imagery. But his ears weren’t spared the tortuous screeching. He loathed to hear the conclusion of violence, the anticipated clash of rock and timber, metal and flesh. Instead, there was a muffled thud. Was it possible they survived? Energy surged through his flesh and he dropped his musket and ran with abandon, boots sinking through fresh powder and legs tripping over fallen pine boughs and sunken boulders. After bloodying his face and arms through dashes between patches of trees, he arrived with his lungs ablaze at the scene of the carriage accident. The collision with the ground had been softened by a deep snowdrift, and as a result, the wreckage was relatively intact. But the driver hadn’t survived the fall. His body was bent grotesquely in a rose-colored embankment. There too lay the horse, still trained to the wagon. Amazingly, the poor creature still showed signs of life, though it was reduced to a dim wheezing, and tiny flumes rose in the coolness from the flutter of its bleeding nostrils. Seamus curled up beside the fallen beast and stroked its head. “Shhh . . . dear fellow.” He sat beside it in an honoring silence until the last flicker extinguished in its eyes. He then pushed to his feet and walked over to the mangled body of the driver dressed in a soldier’s uniform and young enough to still be in the daily prayers of a heartbroken mother. As he looked upon the dead boy, he was struck by the emptiness of the wide-open orbs gazing into the murky skies. Seamus’s thoughts jarred to crimson-drenched fields, haunting memories of explosions, the flashing lights, the whirring of can- non shot hurled through the air against crumbling stone walls, battle equipment, flesh and bones. How could he had ever fired at another human being? Back then they were faceless uniforms, just flags flapping in the winds of war. Yet this soldier lying below him could have been his brother. Maybe even the brother he lost. Oh! Why bring back those haunting visions of his youth? Would they ever go away? Would he torment himself in even crueler ways than did his father? Seamus looked around for anything that could serve as a shovel, and the best he could find was a wooden panel he ripped off of the carriage. He used it to drag snow over the body. It was a crude burial at best, but it would at least keep the corpse from being dragged away by scavenging predators for a day or so before the weather warmed again. Perhaps he just couldn’t bear to see the boy’s face any longer. He then explored the wagon, which had landed on its side and was twisted and embedded deep in the snowbank. Seamus reached down and pulled on the door, which tore from its bro- ken hinges, and he tossed it out of his way. He climbed down inside, discovered several canvas sacks, and threw them up and out of the carriage’s womb. Getting out was a much more difficult proposition. Whatever parts of the cabin he tried to pull himself up with shattered to the touch, and the walls of snow around him threatened to col- lapse. He feared being crushed and suffocating. After much exertion he managed to claw his way out, and when he was back on his feet, his muscles writhed and his breathing wheezed. Dizziness swept over him and he had to close his eyes to regain his balance. There would be little time now. His stomach clenched. He must return home. He propped up the first of the bags and hesitated for a moment before unfastening the slender rope binding it shut. Was this right to do? Wouldn’t this make him a robber of graves? He removed his leather gauntlets and worked the knot with determination. Then it was freed and when he opened the mouth of the bag his spirit sank. Then the next bag. It was the same. Another. Uniforms. He flung the sack down, and the cloth- ing scattered, blue against the white. The heavy bag? Please. If there is a God above, then have mercy on me. Cans! But there would be no way to open them out here. He untied the last bag, which proved to be the most stubborn. Finally it was freed and, once again, it was mail. But this one also had parcel boxes. He reached in to pull one out and several letters scattered in the wind. Seamus stared at the box and shook it. Looking up, he saw the sun dipping below the crowns of the trees. He couldn’t squander any more daylight. He returned the package in the sack and gathered the letters from the ground. As he did, one letter caught his eye. In addition to an address on it was written PLEASE OPEN IMMEDIATELY. He stared at it for a moment and went to fling it but paused and examined it again. Not understanding why he was compelled to do so, he tucked the envelope in an inner pocket of his doeskin jacket. Then he lifted the bag of canned goods and slung it over his shoulder. Too heavy. He would have to do something. Yet he couldn’t fully embrace the thought of throwing away some of its contents. How much would he regret leaving any of these cans behind? The indecision was amplified by the pounding of his head and a surge of nausea. Something drew him out of this. A movement in the trees behind him, a rustling of leaves. He spun, now alert, and gazed through foliage beginning to be shrouded by dusk. Silence. Even the wind had stilled. Only his breathing remained. Then. It happened again. The snapping of branches. Something or someone was approaching. Emily Sunberg has triumphed over rumor, made friends and lived in spite of feeling betrayed by Jake Edgerton so many years previously. When he appears in her life with a thud and knocks her literally to the ground, she finds the old familiar anger welling up within her. This tale of Emily and Jake in the old west is a fun, romantic story. Her feisty friend Iris can keep you guessing throughout the book as Jake and Emily battle with their friendship throughout the story. There were a few confusing elements in the book for me, that I was confused about, and wondering if I missed something, but they did not detract from the overall book. 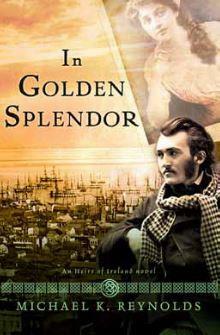 This author is one that I seek out her historical fiction. She provides a good read for a rainy or hot summer day! Emily Sundberg has her life all laid out. She has a respectable job as a teacher and an idea of whom she should marry. But does God have a better plan? 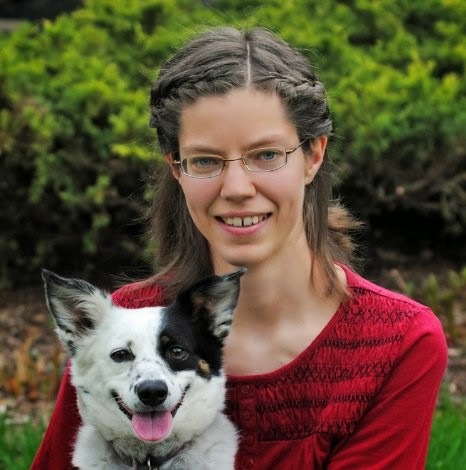 Emily Sundberg considers herself a proper young lady of the twentieth century. But a decade ago she behaved more like a tomboy. So when the neighbor’s grandson came to visit one summer when she was thirteen, they became fast friends. Emily even got her first kiss—quite by accident. Unfortunately Jake Edgerton told all the boys something else. Rumors circulated, and Emily caved from embarrassment and guilt. Meanwhile Jake returned home to Fallon, Montana and she never saw or heard from him again. And now he’s a US deputy marshal and he’s back in town! Manitowoc, WisconsinAn explosion of shattering glass sounded from directly behind Emily Sundberg, and a thunderous weight crashed into her. The world spun, and then she fell hard and facedown on the dirty Franklin Street plank walk. Breathe! Breathe! She struggled to inhale. He helped her sit, and a moment later a rush of sweet, springtime air filled Emily’s lungs. She let out a breath of relief. “I . . . I don’t know.” Emily spit dirt from her mouth. Her left cheek began to throb. Her vision swam. Emily wiggled her toes inside her ivory-colored boots. Nothing broken. She moved her jaw. Despite the pain around her cheekbone, she seemed all right. Her hand moved to the back of her head. 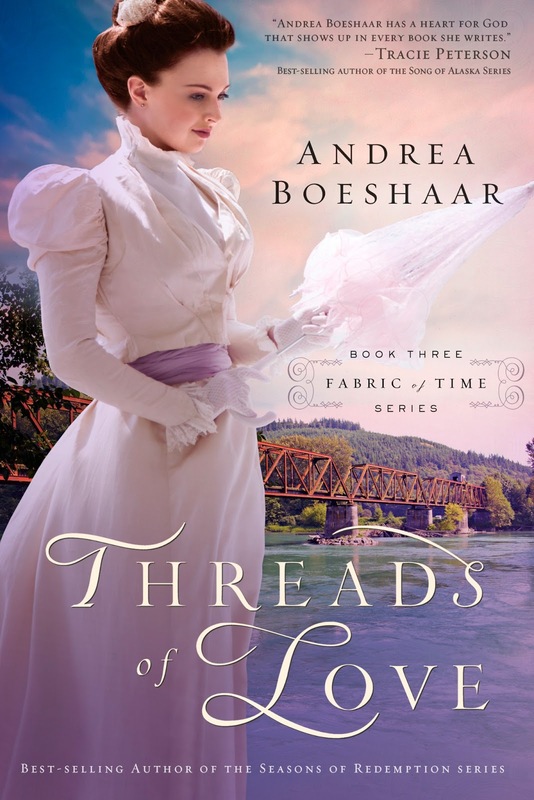 Her fat braid had come out of its pinning and her hat—her hat! She pointed to the paved street seconds before a set of buggy wheels rolled over it, grinding the lovely creation into the paved road. Not once. But twice! Emily thanked God she hadn’t slammed her head into the nearby hitching post. The man held Emily securely by her upper arms, and Emily’s gaze fell on his walnut-colored waistcoat. “You sure you’re not hurt? Emily’s gaze finally reached the man’s tanned and goldenwhiskered face. Shaggy blond hair framed his face and blood stained the corner of his mouth. In his canvas duster and matching trousers, the stranger looked out of place for Manitowoc, Wisconsin. But odd costumes weren’t totally uncommon, given the city’s lively port. And yet, he seemed a bit familiar too . . .
“Unhand that girl, you hooligan!” Mrs. Hopper rushed forward and whacked the man on the shoulder with her cane. He winced and released Emily. “I meant her no harm.” As Emily staggered backward slightly, the man caught her elbow. His velvety-brown gaze bore into hers as if to ask yet again if she’d been injured. Funny how she guessed at his thoughts. “I’m just shaken.” Emily glimpsed the remorse in his eyes before he bent and picked up the dark blue capelet that her grandmother, Bestamor, had knit for her. He gave it a shake before handing it over. “And what about my hat?” Sadly she pointed again to the street. The man collected its colorful but irreparably flattened remains. Unimpressed, Emily extended one hand of her torn netted glove. Another casualty. “Thank you.” Emily smiled. “Apology accepted.” She folded the money and put it in her reticule, still attached to her wrist. Mrs. Sylvia Hopper sniffed indignantly, but Emily caught the approving light in the older woman’s eyes. She’d known the elderly woman for a long while, as she had been Bestamor’s best friend back in Norway. She’d come to America just before Poppa was born, and now her granddaughter, Iris, was Emily’s best friend. A small crowd pressed in on the boardwalk to gawk. Emily’s gaze moved to the man who lay sprawled out and unmoving several feet away. Emily glanced at the motionless figure again. He didn’t look familiar. Muttering, the elderly woman walked to where several women stood a ways down on the boardwalk, holding parasols and whispering behind gloved fingers. A moment passed, and Emily wondered why this moment seemed sealed in time. The man narrowed his gaze. Despite the injury to his mouth he grinned, and Emily could swear she’d seen that smile before. Emily took note of the gaping hole where the two men had crashed through the window. Emily gasped. Jake? Could it be? Mr. Fransmuller stared at the money. “Yes. This will do.” He gave a nod of appeasement before walking away. Mrs. Hopper moved down the boardwalk and continued her conversation with the other ladies. She bristled. It didn’t sound like a compliment. 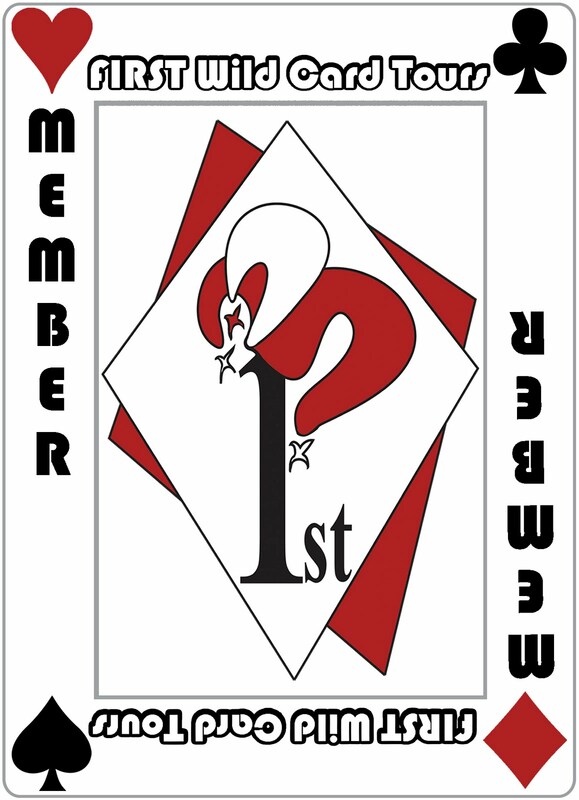 What’s more, she suddenly recalled that Jake was part of that US marshal stunt her brothers pulled. Jake Edgerton was trouble. Trouble from the time they were thirteen and fifteen. “Happened just last night.” Jake eyed her speculatively. She nodded as the realization of Mr. Ollie’s death sunk in. A sweeping sadness prevailed. “Again, I’m sorry for your loss. Your grandfather was a good neighbor to our family.” She eyed the rugged man standing before her. Mr. Ollie spoke of him often, and Jake had been especially close to the old man. Oliver Stout, fondly called Mr. Ollie by Emily and her brothers, had been a respected attorney, one who’d boasted many times over the years that his only grandson would one day take over his law practice. But it didn’t look that way. Not if Jake was a deputy marshal. Such familiarity galled her. “So you’re a gambler as well as a lawman?” Emily could only imagine Mr. Ollie, weeping in heaven. “Family funerals being one of them?” She couldn’t squelch the quip. Jake inhaled, but then seemed to think better of a reply. Instead, he guided her the rest of the way to the bench. Emily tugged her capelet around her shoulders and sat. She eyed the crowd, praying no one would recognize her as Maple Street School’s third grade teacher or Agnes Sundberg’s niece or Jacob Dunbar’s cousin . . . or Captain Daniel Sundberg’s daughter. With so much family surrounding her in this town, Emily knew the odds were against her anonymity. He couldn’t be sorrier than she! Mr. Fransmuller began sweeping up glass and shooing people away from the scene when shrieks from across the street pierced the air. Iris. She turned in time to see her best friend making an unladylike sprint from the department store. Standing, she cringed. So much for hiding her identity. Emily lifted a hand in a tiny wave. Iris spotted her and crossed the street. She held her hat in place on her head with one of her slender hands. In the other she clutched her wrapped purchases. Iris’s gaze lit on Jake, and she slowed her steps. Giving him a timid smile, she let go of her hat and pushed up her glasses. Iris didn’t budge. “Aren’t you going to introduce us?” She nudged Emily, who felt a new soreness in her rib cage. “My parents were killed in a horrible mud slide in South America where we were missionaries. I’ve lived with my grandmother ever since.” She pointed to where Mrs. Hopper still stood, recounting the event to an accumulating cluster of women. Shut up, Jake. She looked down the block, wondering if he had any idea how much heartache he’d caused her over the years. Because of him and his big mouth, she’d spent half her life repairing her blemished reputation in this town. Worse, Jake never wrote back to her when she’d attempted to apologize for her part in the wrongdoing. “No? You never mentioned me, Em?” Jake’s dark eyes glinted with mischief. Tried half my life to forget you! She clenched her jaw to keep back the retort and realized that it hurt too. “No. We’re still going.” Emily knew her friend looked forward to this community event that honored war veterans as much as she did. In addition, Andy Anderson would be there. Maybe if he saw her in the new dress Momma and Bestamor had sewn especially for the occasion, he’d finally notice her, and not just as Eden’s sister either. Iris had spoken her thoughts. Sadness descended like a fog rolling in from off Lake Michigan. Emily fingered her sore cheek. She’d decided months ago that Andy would make a perfectly suitable husband. Would this ruin her chances of finally catching his eye? Glimpsing Jake’s amused grin, Emily blushed. How could Iris speak about such personal things in front of him? “Excuse me, but are you speaking of Andy Anderson by any chance?” Jake hiked his hat farther back on his head. “Yes.” Again, Iris seemed happy to provide all the information. “Iris, really!” Emily gave her friend a stern look. Every muscle in Emily’s body tensed. If only Mr. Ollie could have waited just a week longer to pass from this world to the next. Her hopes ran high for the Memorial Day Dance tomorrow night, and it vexed her that Jake might have the power to destroy her welllaid plans. “Thank you, but I can’t possibly accept.” She tamped down the urge to scowl. “Aren’t you in mourning?” He just couldn’t show up. Iris happily divulged the details, and Emily wanted to scream. “I’ll be there,” Jake said. “Iris!” How could her friend be so bold? Jake didn’t seem offended. “It’d be my honor, ma’am.” He smiled rather sheepishly. Enough! Emily turned on her heel and strode down the walk, passing Mrs. Hopper and the other women. Her heels clicked hard on the weathered planks. While she walked faster than a lady should, if she didn’t hurry, she’d lose her composure here and now— and right in front of the man who’d nearly ruined her life!